Mount Gould Hospital is part of the NHS Livewell Southwest and provides many healthcare services as well as being their headquarters. The multi-building site houses numerous buildings, both modern and classic and the administration building, on Mount Gould Road was recently in dire need of a new roof. DFR Roofing had been awarded the contract to re-roof this stunning building and part of the contract included replacing rainwater products. 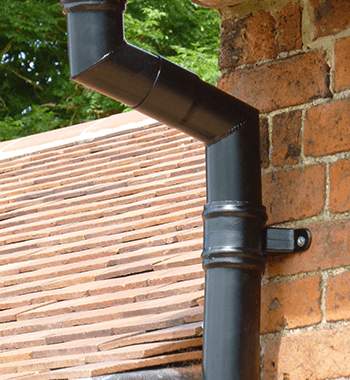 Paul Douglas, Managing Director of DFR Roofing called on ARP for help and advice, specifying that the replacement rainwater system should to be low maintenance, but in keeping with the character of the building. ARP’s Drew Robins, Divisional Sales Manager, arranged a site visit to review the existing system and measure the site. 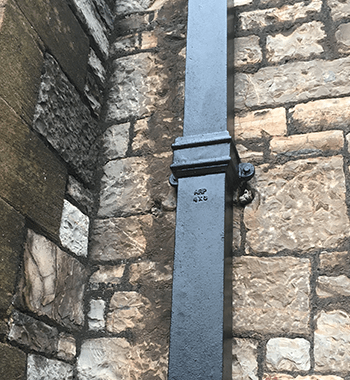 Upon inspection of the site ARP suggested that the existing Cast Iron be replaced with Cast Aluminium with its polyester powder coated colour offering a long term low maintenance option retaining its colour fastness, therefore requiring less repainting. The products specified were ARP’s Legacy Cast Aluminium Moulded No. 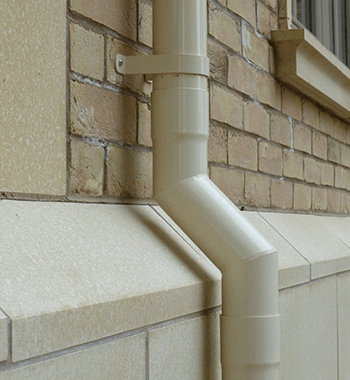 46 Ogee 150 x 100 mm gutters, Colonnade 101 mm Circular Down Pipes and Colonnade Hoppers. 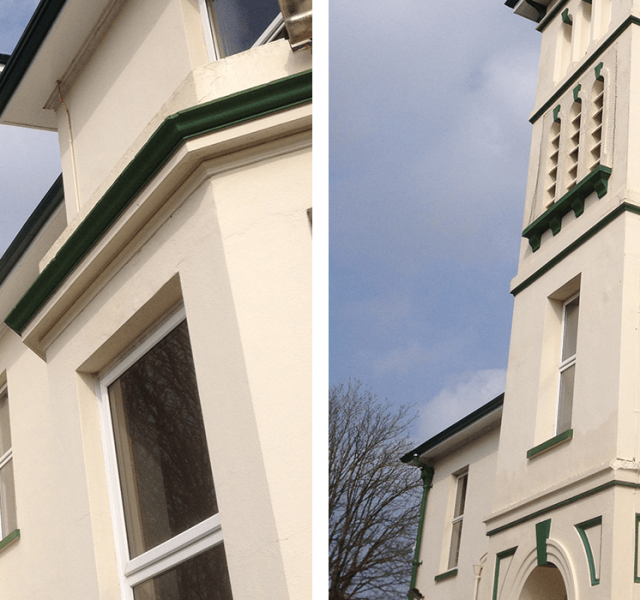 As you can see from the images, all were colour matched to the existing green décor (RAL 6005 Matt). 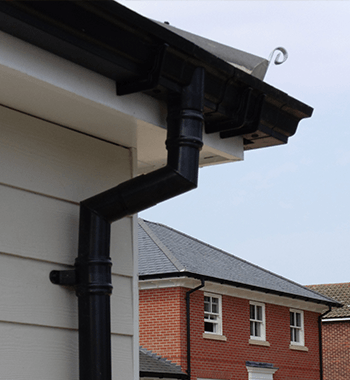 ARP’s Legacy Cast Aluminium Gutter and Colonnade Downpipes were an ideal solution for this project, as they are made from a modern, natural product which is fully recyclable, but non-corrosive and offers a strong and durable system, but still affords the aesthetic qualities required for the refurbishment of this building.